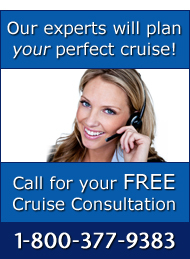 A Cruisetour is the best of both worlds. It’s a cruise combined with a multi-day guided land tour where you are taken to amazing inland destinations, have hotel rooms reserved for you and are guided through amazing cultural experiences (essentially like a cruise, but on land). These are most popular in Alaska where many cruise lines offer the experience of seeing the glaciers, catching a king crab or spotting a whale along the coastline of our largest state, but then disembarking and venturing into the wilderness of Alaska and visiting spots like Denali National Park. 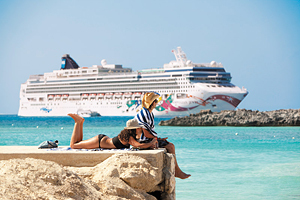 Norwegian Cruise Line has just announced the addition of four new Cruisetours to make your next Norwegian cruise vacation the total package. 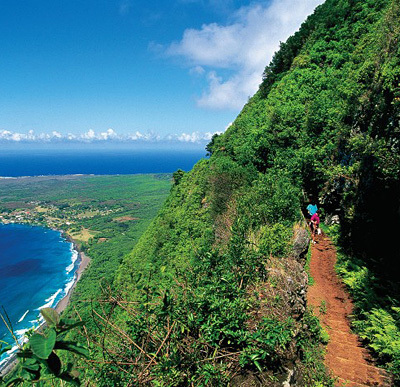 O’ahu Explorer Cruisetour – In addition to Norwegian’s 7-day Hawaii island itineraries that leave every 7 days you can tack on this 4-day/3-night Cruisetour which occurs before the cruise. Marriott Resort & Spa. On this day you’ll get acclimated to your surroundings. Day 2: Explore the surf culture of the North Shore and Haleiwa before learning more about the history and intense cultural traditions of Hawaiian culture at the Polynesian Cultural Center. Day 3: Tour the USS Arizona Memorial, Battleship Missouri Memorial, USS Bowfin Submarine Museum & Park at Pearl Harbor. The day also includes a visit to the Pacific Aviation Museum and the National Memorial Cemetery. We at The Cruise Web are super excited for Norwegian’s latest ship, the Breakaway , to debut next month because many of us will be onboard for a couple of days to test out the digs and report back to you on all the exciting features, delicious food and comfortable accommodations. 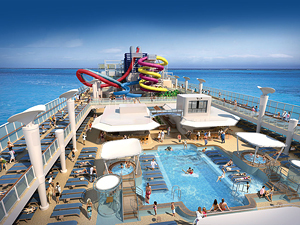 The Norwegian Breakaway will have a lot of interesting features, including 28 places to eat, a boardwalk, a water park and fireworks with every sailing. We asked our staff what they were most looking forward to and we got back a variety of results. 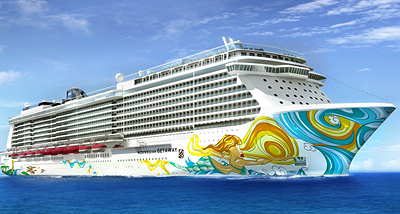 Norwegian Cruise Line is giving its new ships the Breakaway and Getaway identities based on their home ports. This is evident on the Breakaway, which will sail from New York City. 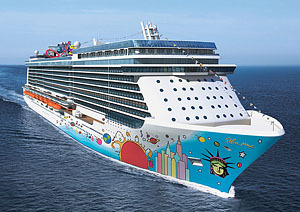 The ship will feature entertainment from the Radio City Music Hall’s Rockettes, there will be hot dog stands onboard and the giant art on the hull of the ship was painted by Peter Max, a New York artist. 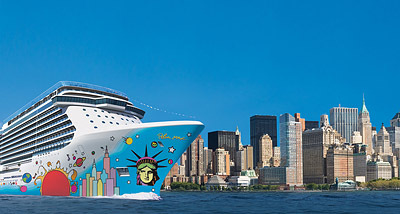 The Norwegian Breakaway will be christened in May by a set of New York icons. No, not celebrities or intellectuals, the ship is going to be christened by the Rockettes. Courtesy of Norwegian Cruise Lines. Courtesy of Norwegian Cruise Line. 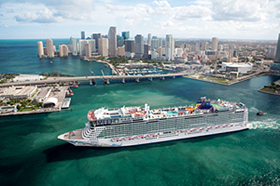 The Norwegian Getaway will make the Port of Miami its home. 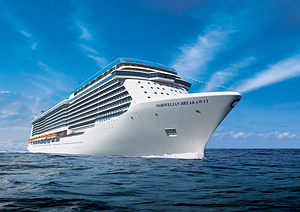 The ship, which is set to begin sailing in Spring 2014, will be the largest ship to have its home in Miami. Are you ready to Getaway? Not since “The Love Boat” have cruise ships gotten so much screen time. Lifetime Network will be premiering a new dating reality series, “Love for Sail,” which takes place on three of Norwegian Cruise Line’s ships. The show will premiere on Tuesday, April 10, 2012, at 10 pm ET/PT. In each episode of “Love for Sail,” four women looking for love will board a Norwegian Cruise Line ship, either Epic, Pearl or Star and set sail to exotic locations surrounded by a group of equally-eager single men ready to embark on what they hope to be the voyage of their lives.